February 7, 2019 The first Rainbow Six Siege Year 4 teasers points straight at the outback. If you had any doubts about all those leaks and rumours about Rainbow Six Siege setting Australia as its next seasonal theme, the first official teaser from Ubisoft should put that last bit of uncertainty to rest. 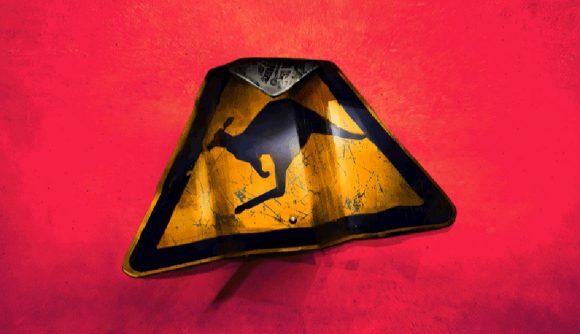 A new tweet simply says “g’day” along with an animated image of a kangaroo crossing sign. At this point, we’ll soon be awash in Vegemite sandwiches and shrimp on the barbie. The Six Invitational starts on February 15, and will host the proper Year 4 reveal on February 17. That means it’s proper teasing time for the next season, so expect plenty more quick Twitter videos and teaser trailers ahead of next weekend. This lines up with the leaks around a pair of new Australian operators that popped up a few weeks ago. Those reports suggest we’re getting Mozzie – a defender that takes control of enemy drones – and Gridlock – an attacker with a red web trap that damages opponents who run into it. We were skeptical of that leak at the time, but it’s at least looking increasingly likely that we’ll head for the outback soon. Some leaked Pro League sets on Reddit added plenty of fuel to the fire. Clash’s new skin features a flag from the land down under, just as Vigil’s Pro League skin pointed us toward Operation Grim Sky last year with a Union Jack. When it comes to Year 4 operators, roadmaps, and release dates, you can follow that link for everything we know so far. Ubisoft has provided very little in terms of official detail, but the usual array of leaks has given us plenty to work with. The upcoming Six Invitational is less than a month away, and it’s the most likely venue for official confirmation on what to expect. While Ubisoft hasn’t given us that Year 4 roadmap yet, the developers have been busy elsewhere – there’s a big ban wave, small nerfs for Rook and Doc, and a major nerf for Caveira. And that Tachanka rework might be coming sooner rather than later. Stay tuned for plenty more news on Siege, especially as we head into the Six Invitational next weekend.